For those who want their home’s exterior living space to receive the same careful attention to design and matching your desires as your interior space, you can depend on QLD Deck Co. to deliver. We build custom timber decks, pool decks and outdoor hardwood decks as well as patios, pergolas and SolarSpan® patio roofs that stand the test of time and great design. Our decking specialists work with you to achieve a unique custom design for your space, handling every detail from first quote to final inspection. 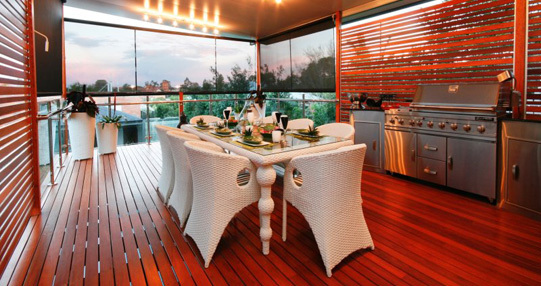 QLD Deck Co. is known for creating innovative design solutions for projects many builders would consider too difficult. Deep slopes, narrow spaces and other hazards are no problem for our designers; we welcome any challenge to deliver an outstanding deck solution! 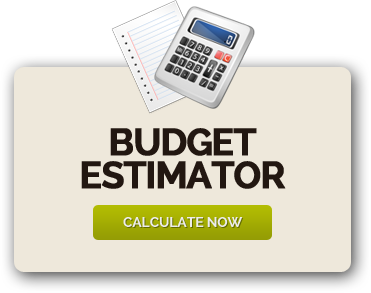 Our deck designers and installers work with your team from estimate to end of project, with complete project management services that cover every aspect of the job including design, planning, standard building applications, certification, construction and final inspection. Our commitment to quality is absolute; we pilot drill and hand-nail all decking boards with hot-dip galvanized steel nails (nail guns are not used) to enhance the appearance of your deck and protect against rust. We use only F14 treated hardwood for timber decks, which repels pests and rot, and do not use imported or rainforest timbers. Every deck we build is a custom project, using the highest quality Australian hardwoods that are treated to repel pests and rot so every deck we build is built to last. 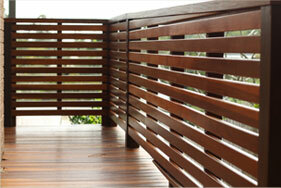 QLD Deck Co. has a commitment to using sustainable materials, and does not use any imported or rainforest timbers. We pilot drill and hand-nail all decking boards with hot-dip galvanized steel nails (nail guns are not used) to enhance the appearance of your deck and protect against rust. This careful attention to detail ensures that your custom deck is of the highest quality and will maintain its fine appearance for many years. Since seeing is believing, visit our online Portfolio of both interior and exterior projects and see for yourself why QLD Deck Co. should be the company of choice for your deck project.